I didn't see this sooner as the reviews were pants. Having seen it I was thoroughly entertained. It doesn't claim to be anything else other than a monster film and as a fantasy fan I was pleasantly surprised. The "things" are definitely monsters and bear no resemblance to dragons. It's along the lines of aliens in some respects as the things are thoroughly horrible and damned hard to kill. It's set in 11 C China, I think, Mercenaries have heard of black powder and know it will make their fortune so they seek it out to take back to the West at any cost. 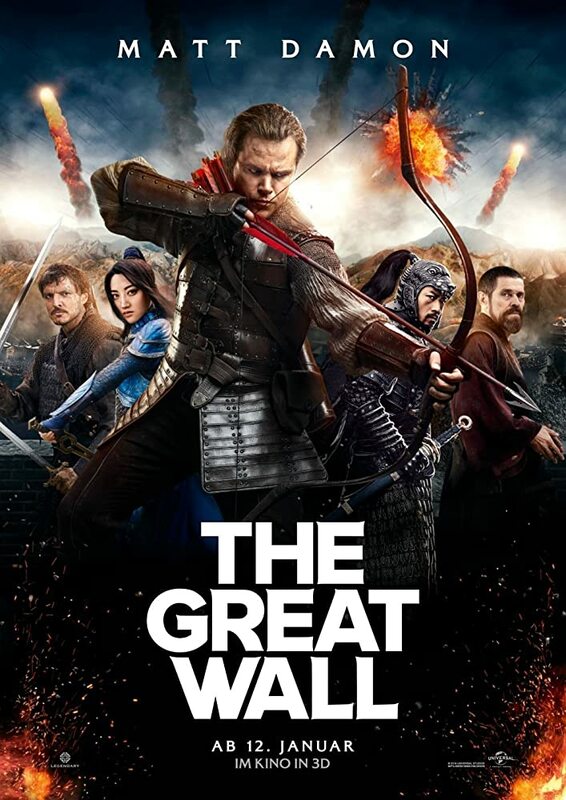 However, at the Great Wall they get embroiled in an invasion and are tor between stealing the powder or helping in the conflict. Losing a Contact Lens - What's Your Worst Moment?